For today I choose the basket of love in the form of tulips and lilac, two of my favorite flowers; but neither will grow here in the Florida panhandle. In my virtual garden of coloring they are both found often. I had a lot of Copic markers on my work space. One of my new luxuries this year is to have a part-time studio assistant. Oh my does this make a difference in my day. Well I am here to tell you she almost passed out when she saw all the markers astrew. “Not to worry”, I told her they are labeled to it’s easy to clean up, she chuckled and let me continue on in my own little corner of the world. Once the image was colored I trimmed it and had I looked at this through the camera lenses before I continued I would have gone back and re trimmed. Lesson learned. I used a new to me embossing folder from Couture Creations called Hedged Maze. I simply love it. It is a full 5″x7″ folder that makes really deep impressions. We hope to have these in the store real soon. I also used another embossing folder on a second layer. It is new to our store and it is called Debonair Edges by Craft Concepts. After the image was embossed, I sponged with white craft ink and let it dry, then I cut the images apart using only the square image. I cut two pieces of Flourishes Classic White paper with Spellpinders Lacey squares, using the two largest dies. I added a May Arts Twill in Turquoise and then layered it with another piece of woven ribbon from my stash. A small strip of white lace finished off the bottom. I made a bow out of May Arts Two Tone Light Blue ribbon. At the very top a piece of 1/8″ Velvet ribbon was added. In this picture it looks dark but in real lfe it matches the turquoise nicely. Some crystal findings from Michael’s finished it off for me. Well enough gushing for today. It is time for me to send you on to the designers taking part in today’s release. and a Noon Time Challenge in which you can take part…lots of chances and even more if you leave me a love note from this post. pretty card. Pretty bouquet and nice coloring. Beautiful, Jan Marie! I just love the colours and the lace trim! 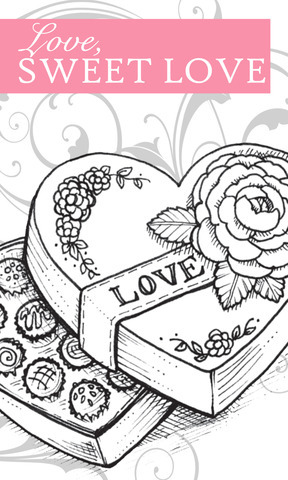 A GORGEOUS new stamp set! fantastic what a stunning card love the bleu card in combinations whit your stunning colouring from that lovely image!!!!! Another stunning creation from you…loving the aqua tones…lots of beautiful details….if you assisant wants to really “faint” send her to my house…my creative room looks like an explosion!! This is beautiful Jan Marie. The pearls looks so pretty around your image. What a fantastic release this month. Great job.. Absolutely gorgeous!!! Love the colors and all the wonderful details of ribbons, pearls and crystals. So much to soak in and be inspired by. Of course, the star is the beautifully colored basket. I enjoyed seeing this in aqua, very nice. Can your assistant come clean up my stamping space? I think it would only take a month or two . . .
Beautiful – love the colors!!! Jan Marie, your card is beautiful! I love the embossing folders and colors you chose. When I am color my desk is always covered with markers. I think that’s just how it goes. How nice that you have an assistant. Good for you. I hope that translates in more time for you to create! What a beautiful card. Thanks for the chance to win. Gorgeous card, Jan Marie! I love the colors you used! The whole release is just amazing and so are all the DT inspiration projects! Beautiful again! I was looking forward to seeing your beautiful creation today and it definitely doesn’t disappoint. It’s just gorgeous! Beautiful image and lovely color choice. on Friday,January,13, 2012 at 11:39 | Reply Candy S.
So very elegent and the stamp is so beautiful! Ah, just lovely! I love the blue and white combo, the dies are beautiful. And the image is gorgeous, I adore tulips. Have a great weekend. Beautiful job on this card Jan! I love it in the blues! Absolutely beautiful, Jan Marie and I love the new release, “Love Sweet Love” it truly is a wonderful set. Thanks Jan Marie for a chance to win. Very pretty–great coloring and love the aqua color. 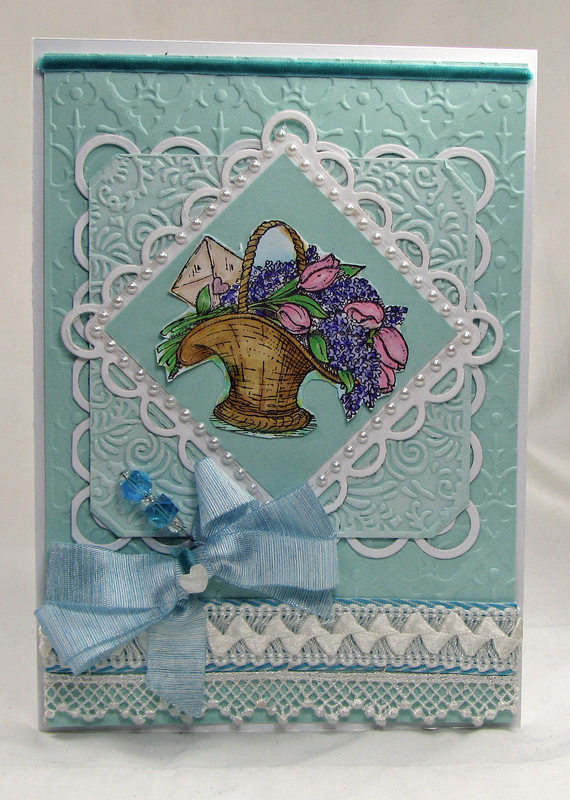 I love the beautiful aqua color on your card! 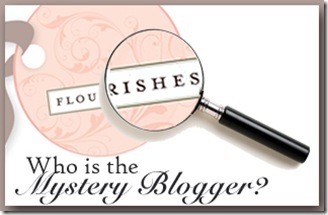 I also love these blog hops because it brings me to wonderful artists I would have never known about. Beautiful and I love the aqua color, it looks so rich. Love the new stamp sets. Love the image, and the colors you chose are wonderful. So pretty, Jan! I love all your little details! This is breath taking! I love the color! Those embossing folders look great. Wow! Such an elegant looking card Jan Marie! Love the pretty colored bouquet and all the the texture! SO pretty, Jan! Love the soft pastel colors! WOW!!! that is drop dead gorgeous!!!!!! I love it!!! This is stunning, gorgeous rich colors. Wow that’s beautiful Jan Marie! Well just look at you missy!! That aqua is the most delicious color ever!! I love how you paired it with the embossing folders (which are grand!!). Beautifully done my friend! This is an amazing and enchanting card and it’s so very “you”!